The first part of your application experience, the installer User Interface is also the way your users start interacting and making decisions about how they want to work with your product. This is why Advanced Installer strives to create beautiful, easy to use and powerful User Interfaces. Our powerful Themes support allows you to completely change the appearance of your installer with just a mouse click. Over 50 beautiful, ready-to-use themes ensure a consistent but unique and customizable visual look and feel for your installers. Schedule image slideshows in the background of your installation dialog to entertain or educate your users about your product during longer installs. Distribute localized installers in as many languages as you need. 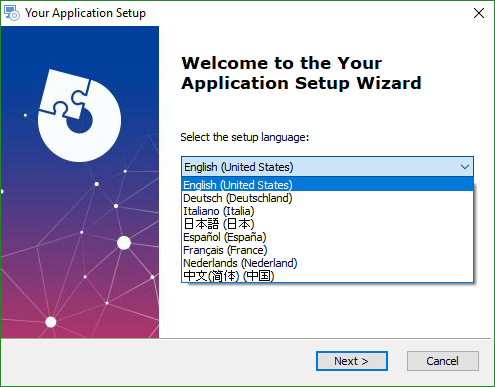 Multi-language installers will start in the user's default system UI language and the bootstrapper can offer a language selection dialog. The many productivity-enhancing tools that come with Advanced Installer implement similarly intuitive, powerful and beautiful UI: the EXE Bootstrapper, Updater, Native Java Launcher. Creating installer dialogs is time-consuming. Fortunately, Advanced Installer comes with a list of the most used dialogs which have been created taking into consideration the most common usage scenarios. Your installers will be ready to also run at simplified or no-UI levels for administrative/enterprise deployment scenarios. 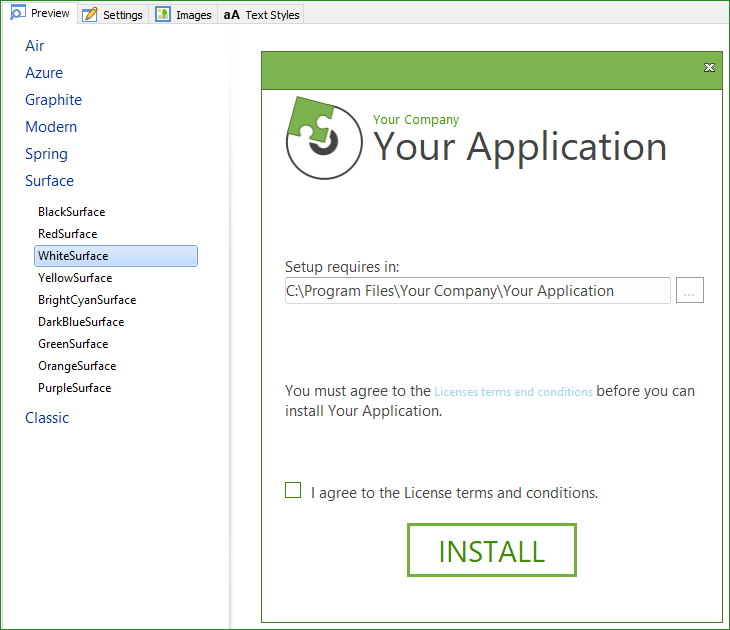 The fact that you don't have to doesn't mean you can't: our fully featured Dialog Editor waits ready to help you create your installer dialogs from scratch or simply customize the ones already provided.